Brace yourselves, EU LCS playoffs are coming! I originally wrote this article in French for O'Gaming. I translated it following a retweet from Trevor "Quickshot" Henry, so it could reach a wider audience. You can still find the original here. After ten weeks of Summer Split regular season, six teams have succeeded in qualifying for playoffs. Those teams are now in the home stretch: the last chance to amass championship points and keep their hopes of qualifying for Worlds alive. Header of the original article, made with ♥ by Moufff. Six teams means six different identities. It means six families of players aspiring to hold their colours ever higher, and even more fans. The determinant nature of the Summer Split will hit them hard when it will put an end to the dreams of greatness of their favorite team… But like Cersei Lannister from Game of Thrones used to say, “When you play the game of thrones, you win or you die. There is no middle ground”. The six remaining squads will now have to give the best of themselves to triumph over their rivals. Let us see together which resources each one of them has to overcome the Summer Split and which one of those great families will conquer the EU LCS throne. While Trevor “Quickshot” Henry was pleasing himself to liken them to fallen kings, the most successful team in EU LCS history began to slowly rebuild itself during the year. Having always been supported by a huge community of fans, Fnatic is now coming back with the wind in its sails; and we want to say “at last”. Much like Daenerys, the team of Martin “Rekkles” Larsson embodied this almost extinct dynasty whom everyone secretly wished for -- come on, there is no use in denying it -- their return. Atop the KDA ranking with a score of 11.7, the Fnatic AD Carry led his team to the summit of group A. Of course, there were a few snags along the road, but the players have shown throughout the Summer Split that they will be the most serious opponents in the playoffs to come. Will they succeed in claiming back the EU LCS crown they have not worn since 2015? We will see in Paris! Everyone has a soft spot for the Starks. 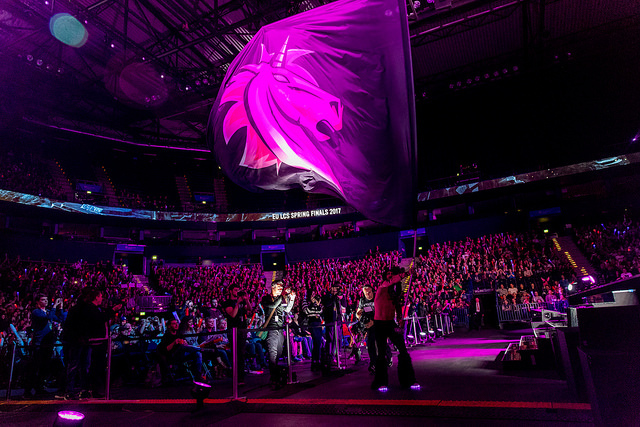 In Europe, Unicorns of Love are not exactly lacking fans. Just look at the most die-hard from the LCS Studio, despite the team never having reached the very top level of competition. Was it due to bad decision-making? Well, it was certainly the case for the Stark family… Today however, the tides have turned somewhat in the favor of the unicorns and the team has shown during this split that they are amongst the bests in Europe. But even if they did secude the second place of group B, they will need to perform incredibly well to defeat the fearsome opponents that G2 and Fnatic are, especially in best-of-fives. The war dances from Romain Bigeard, the team’s manager, and its “Love Hurts Crew” could however have a certain role to play in motivating the team for the incoming matches at the Accor Hotels Arena. In Hamburg earlier this year, Romain Bigeard had all the crowd to cheer for UoL. Credits: Lolesports. Who better than house Lannister to represent the “bad boys” of EU LCS? Even if they had a hard time gaining the heart of their region and grow a fanbase, the “New Kings” of Europe have been the sole ruler of the continent for a year and a half now. Nonetheless, G2 has not shown the same face since its achievements at the MSI and the Summer Split really was painful for the team. Unfortunately, their enemies are looking to strike them down at the first sign of weakness. The surprising upset of Roccat, which won 2-1 last Thursday, put an end to the hopes of first place of the spanish team. However, they should not be underestimated; they have proven they were capable of performances far beyond the average level of the league. The triple back-to-back champions therefore remains one of the most awaited western team at Worlds. Given the chance, they will not miss their shot. The last ones arrived in EU LCS, even if they look to fall short compared to others -- notably G2 Esports and Fnatic -- are not to be taken lightly. Having reached the fourth place during the Spring Split, Misfits have had great results throughout the year, especially considering that they were in Challenger Series only one year ago. By doing so, the team have already gathered a lot of supporters. Furthermore, the points collected during the previous split can always allow them to obtain a better seeding in Regional Qualifiers than Splyce or H2K. Their story might not be over yet. 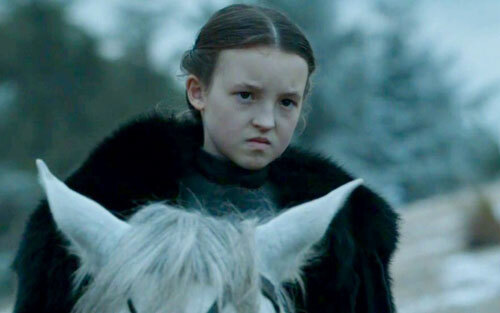 Despite her youth, Lady Lyanna Mormont already displayed her great courage many times. Credits: HBO. Since its arrival in the LCS, H2K always has been amongst the best teams in the league. As the Arryn in Game of Thrones, they adapted to the different eras by refining its roster, still maintaining a high quality standard. Using their midlaner Fabian “Febiven” Diepstraten, highest KDA in the league at its position, and their star jungler Marcin “Jankos” Jankowski, H2K has the firm intention of seizing the EU LCS crown. Statistically, H2K is the second best team in Europe with the lowest average game time, which can be interpreted as a great capacity to snowball its advantages. Sadly, the team seems to be its own enemy, receiving saw-tooth results throughout the split. Even though they were defeated by UoL last Sunday, the team had some recent encouraging results: a record of 2-0 against Splyce and 1-0 against Misfits. The team therefore has good hope of gaining confidence during the first playoffs match and carry on this momentum to the Finals. Even if they only recently came in the storyline, Splyce have rapidly made a name for themselves in the EU LCS. By qualifying for Worlds in their first year, this new protagonist easily found its space inside the league's plot. Unfortunately for the House, the disenchantment was quick -- and honestly, brutal (see Worlds 2016). Furthermore, the progress curve of the team seems to have greatly diminished this year. The chances of victory of the team look quite thin, conseding they have not won a single match against the very serious competitors that Fnatic, G2 and H2K are. Their words “Unbowed, Unbent, Unbroken” will sure be difficult to live by. As summer is coming to an end, playoffs are coming for us all. Only the most persistent will have enough resources to endure it and set out for the world championship. Even though the main protagonists seem to be known, are we really protected from a plot twist? 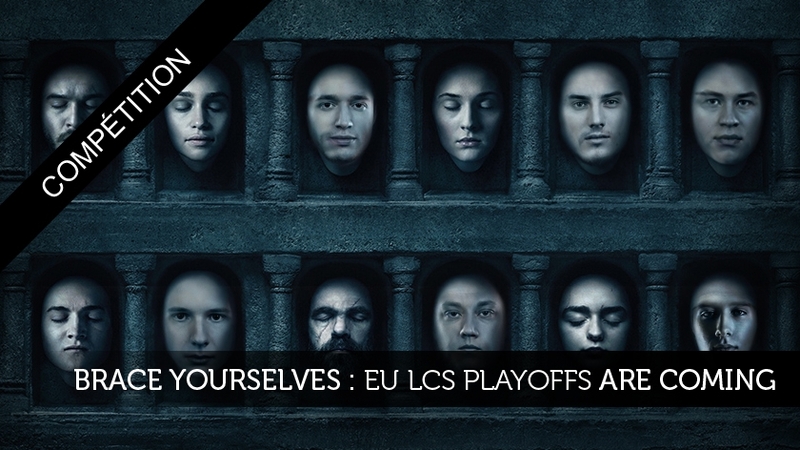 Brace yourselves, EU LCS playoffs are coming!